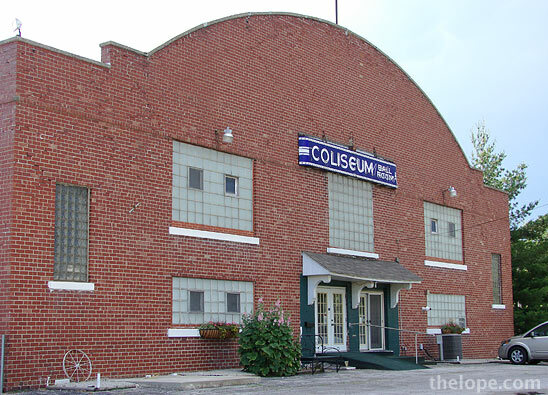 While driving Route 66 on June 22 of 2008, I ran across the Coliseum Ballroom building in Benld, Illinois. I just read at Route 66 News that it was destroyed by fire this past weekend. It's not been a good time recently for Illinois Route 66 institutions as far as fire is concerned, the Riviera bar and restaurant having been lost last year. There's been some discussion about rescuing the Coliseum's neon and incandescent sign, perhaps placing it in the Illinois Route 66 Hall of Fame and Museum in Pontiac. I hope this happens; it's a long, narrow sign and would be great along a long wall above other displays. I wonder if the light bulbs at top and bottom chased? Although "Ball Room" is two words on the sign, archived advertising materials show this as one word. In it's heyday, the Coliseum Ball Room, built around 1924, was a music and dance venue that hosted famous acts. In later years it served as a flea market. 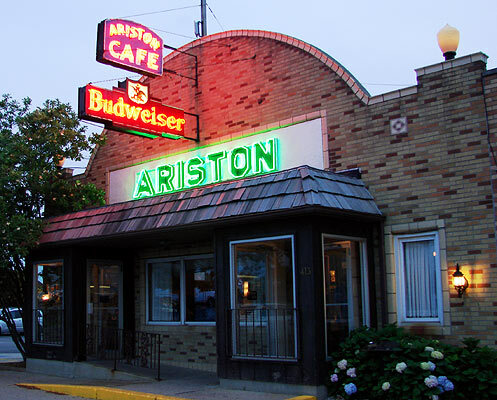 Stylistically, it resembles the Ariston Café of Litchfield, also along Route 66. 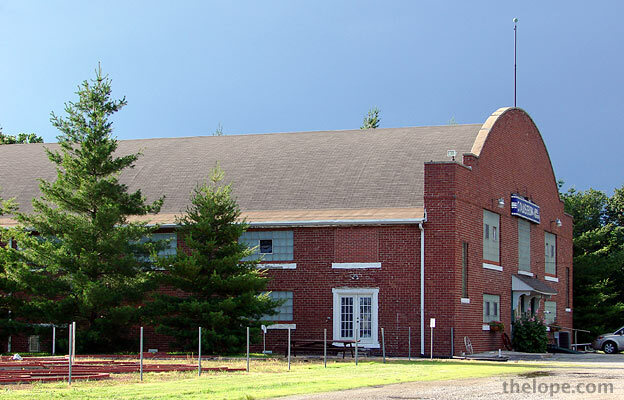 The current Ariston building dates back to at least 1935. I must confess, what I remembered most about the site was this miniature golf course with greens shaped like musical instruments. To my dismay, it was closed when I was there on the afternoon of June 22, 2008, but I've seen pictures of it which showed plywood pop culture icons at one point in time, and tombstones at another. There was even a replica of the building itself. I believe it survives. 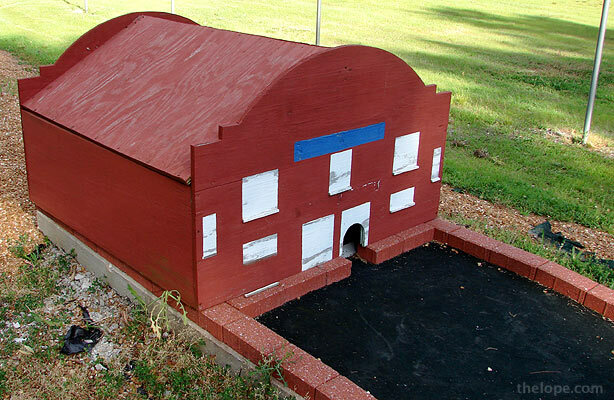 This reminds me of a similar course in Independence, KS, which features replicas of local historic buildings.